This shot of the canoe and dock at Lake Louise, Toccoa, Georgia, was taken this past winter, one year after the shot I posted here. I had the occasion to be back for a retreat and shot the canoes again, this time on digital and with much better light. 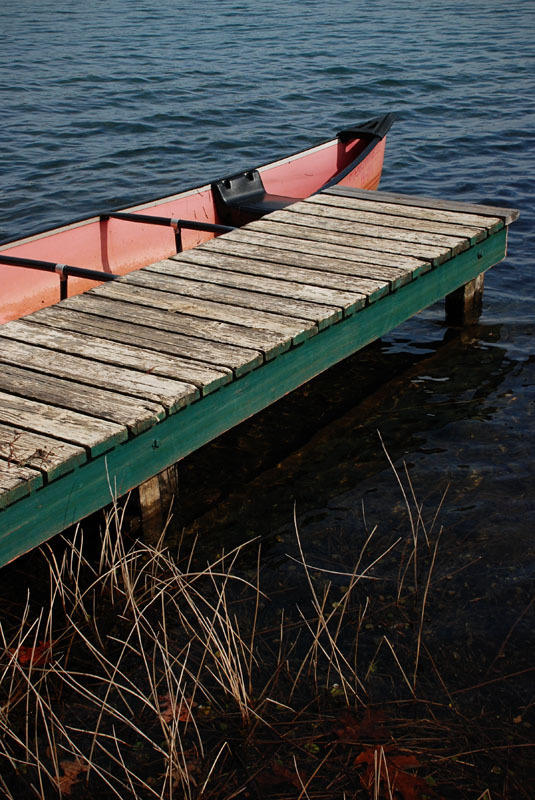 A canoe moored at stage like this always has the feeling of a journey about to begin. Neat Image. I also rather like your scanned flashback shot.